Project management is used to execute the process in proper in a systematic manner which helps to achieve the goals. The process of Project management is not easy for IT industry. But it is an ability of project managers to manage teams in the most effective manner for the successful project management process. Even if you have the project management certification, then also it is not sure that you will succeed in the process. Process of Project management is key to the success of the project if you used it effectively and proactively in the process. Like example XYZ company hire project manager who is project management certified and they give him the project to handle first he will select different set of people to complete the process then he will plan things according to his knowledge that how to do, when to do and how much time it will take and what will be the cost incurred on that project, then the process will be executed as per the manager knowledge sometime it happens that theoretical knowledge can’t full fill the needs of live project in the correct way same will happen with this manager he knows in and out of the project management. But he was not able to get the live things correct or not able to understand the customer needs correct which ultimately fails the project. So if you want the success of the process, then you should be very effective in project management that how to use it. I will explain you some myths about process of project management that can hamper the project. The Process of Project management can be expensive in the beginning, but the return, it will give you more beneficial results in the process. This will give you the value-added benefits to your company which can be more profitable. 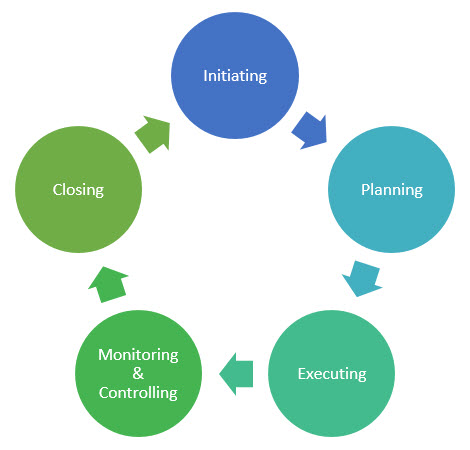 Process of Project management can be used for different processes. It will give efficiency to your project and reduce the cost of the process. Having knowledge of budget in the project management many time challenges project management software needs. Sometimes we believe that directly getting on the process is easy and effective. But it is not like that these tools help to add value to the project management need like proper utilization of time, planning, effective communication, risk management, money, and resources. This helps to save money in the long run and time of the project. This is happening because of those who ignore the change. Usually, the project manager is responsible for using the methodologies that favor ideology over the practical solutions which lead to slow down the process. But the fact is project management software helps in better utilization of resource and time. Successful Project management should know how to support organizational goals not just finer details of the process. Strategic view is also equally important. When it comes to execution project management comes handy on the basis of organizational strategic goals. Project management software can be used for any process in the industry. The Manager needs to be more expert in the project in the correct way with the help of different tools and IT technician should know how to manage the development process. In managing the project or hiring a different skilled people are investing in the project management software you have spent lots in it. And if you think you’re not achieving the goals or it is going in the wrong direction so it better to stop the project right there so that you can be saved by the loss that will occur later in it. Using Project management tools doesn’t mean that you don’t require manpower you can’t automate the project on the basis of tools, for right way or successful project you need a manpower who will work in the process with the help of tools.The process of project management Tools is just used to help the manpower so that it can easy their work, but it can not work automatically without people. Prev:What is SAAS software? And How its beneficial for organizations?